Homepage » Free Crochet Patterns » [Video Tutorial] The Fastest, The Easiest & The Funniest Way To Roll Your Yarn! [Video Tutorial] The Fastest, The Easiest & The Funniest Way To Roll Your Yarn! This method is so brilliant, it is literally going to change your life! If you have lots of tubes full of yarn that you have been collecting over the years, you probably know that no matter how much you try to roll it up , and sort it out , it always gets tangled with each other. Yarn winders may be out of your budget so then… what to do? We all know some manual methods but wouldn’t you like to the know the fastest one? So handy and so cheap, you don’t even need to send a buck! How is this for good news? The Fastest, The Easiest & The Funniest Way To Roll Your Yarn! Visit the Next Page link below for the Fastest Way To Roll Yarn Video Tutorial. 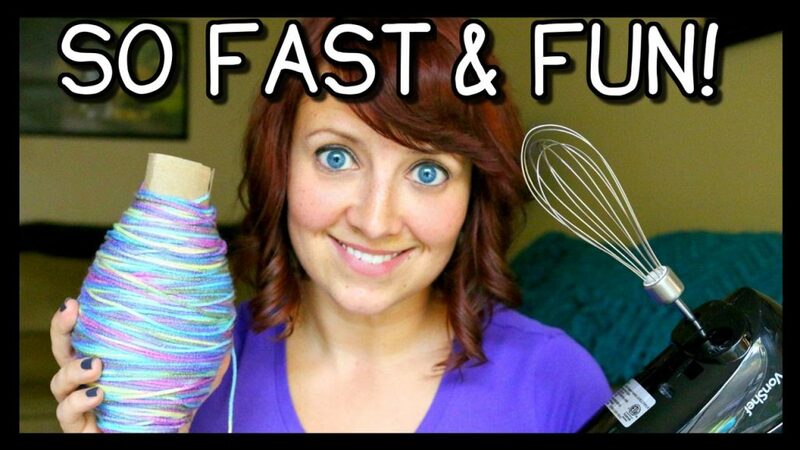 14 Comments to [Video Tutorial] The Fastest, The Easiest & The Funniest Way To Roll Your Yarn! My yarn comes in skeins. No need to re-roll. Tried this and it was a mistake!! Stick to the old ways and just roll by hand. You notice that after she spun it onto roll of paper, she fed the yarn from the end not from the center where we normally have the problem when done directly from the factory/purchased ball. There is no need to spin it onto a tube/roll if we just use the outside end (roll out) instead of the inside (pull out).